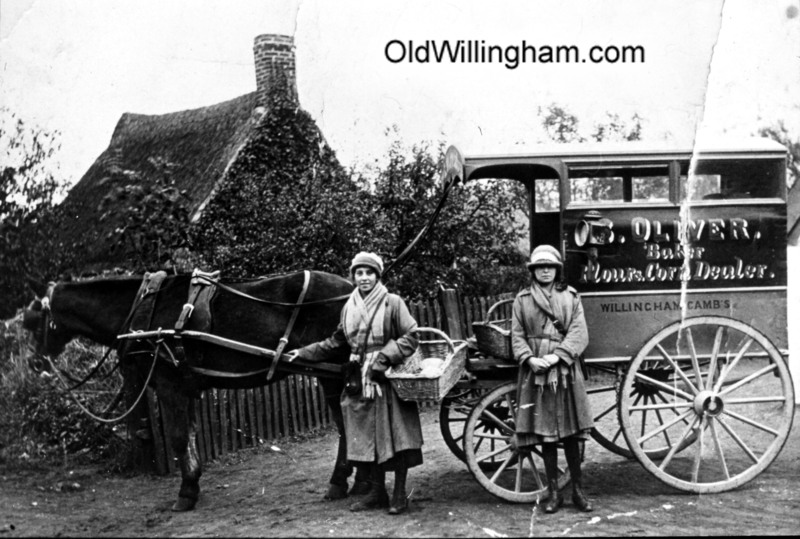 Here we see the two “Miss Olivers” with the Oliver’s Bakery van. The text says “S. Oliver. Baker Flour & Corn Dealer”. Around 1910, Sayers Oliver with his wife Emily built a new bakery on the corner of Church St. and Church Ln. after the previous building burned down. The Oliver family ran the bakery through the generations and the shop (which is still a bakery) remained with that name well into the 1990s. In the days before preservatives, bread didn’t last long so baking started early and the fresh loaves were delivered to the door as soon as possible. This picture is probably taken in the 1920s.